These two flavors really work well together. You get a nice tartness from cranberries and that mixes well with the salt and coriander (and also tart) that accompanies goses. Long Trail has been really putting out some awesome beers lately, and this is another one that was a homerun for me. 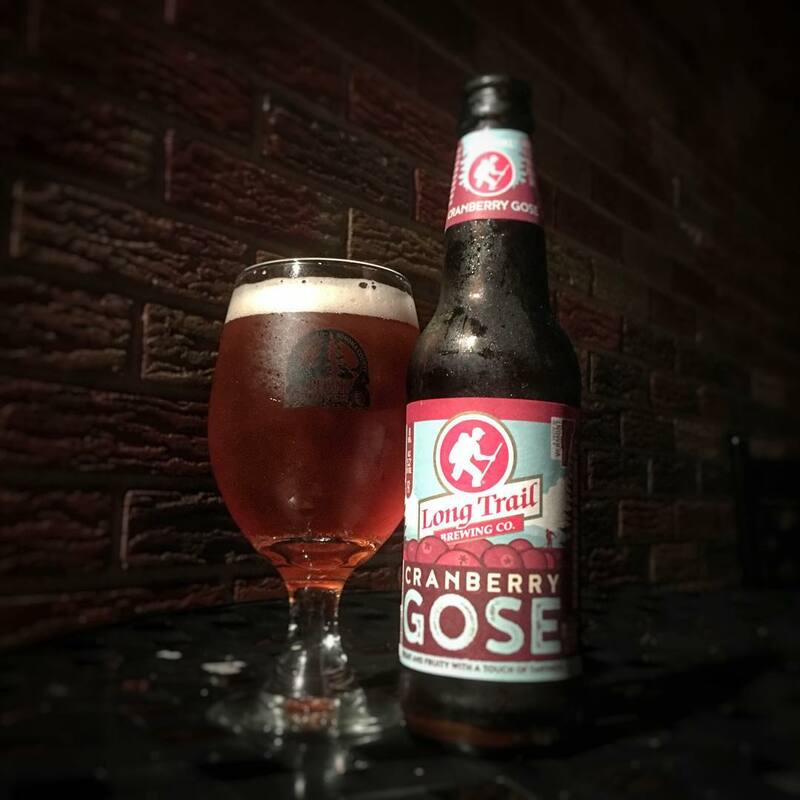 Cranberry Gose will definitely be an easy to recommend beer for those hot summer days and nights. Especially if someone is looking for a nice and light easy drinking beer. At just over 5% it’s not too strong, and at only 8 IBUs, this thing has no “bitterness” at all. I’m really glad that I picked this up and tried it, I’m a little sad that I didn’t try it sooner! Coming to our year-round lineup in May, this fruit-filled take on the German-style Gose takes you from bog to barrel in one sip. Our Cranberry Gose is brewed with freshly pressed cranberries, coriander and a splash of sea salt; kettle-soured to create a refreshingly tart, effervescent ale. Food Pairing: Thai or Vietnamese noodle dishes, seafood, shellfish, watermelon salad, queso fresco, fresh and tangy goat cheese. First brewed in the 16th Century, Gose is an old German beer style from Goslar. Gose is a traditional wheat beer made with at least 50 percent malted wheat, which creates a cloudy yellow color and a refreshing crispness. Traditional Gose features a low hop bitterness and a complementary dryness and spice from the use of ground coriander seeds and a sharpness from the addition of sea salt.